They are not the usual favourites of a finance minister, even in case of an interim one. Still, animal husbandry, fisheries and cows found some prominent places in Interim Union Minister for Finance Piyush Goyal’s Budget speech on February 1. The cow got it usual prominence. Goyal declared that Rs 750 crore would be allocated for the Rashtriya Gokul Mission. Under the scheme, a ‘Rashtriya Kamdhenu Aayog’ would be set up to take up scientific activities for genetic upgradation and increasing productivity of cows. 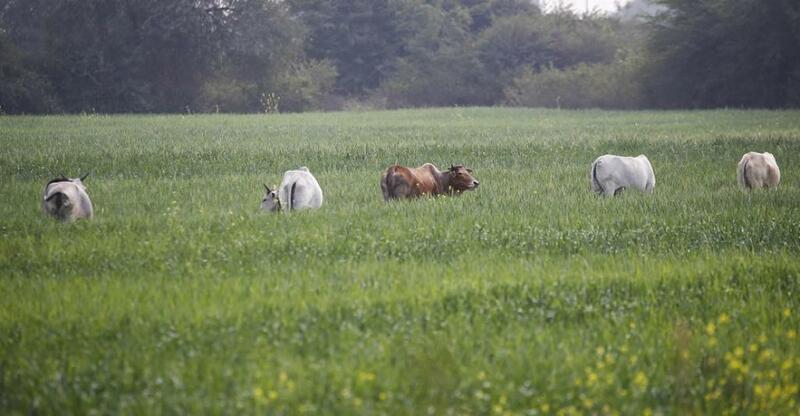 Since the last five years, many cattle and livestock farmers have been enduring anti-cattle trade restrictions and the violence of cow vigilantes. Down To Earth has reported widespread losses in livelihoods due to this. Goyal’s special provisions for these farmers, who also engage in fisheries, hints at providing a healing touch to them. In his speech, Goyal declared the creation of a separate Department of Fisheries; till now, it was just a division. He also said that farmers pursuing animal husbandry and fisheries would be treated as regular farmers engaged in cultivation. They would get a 2 per cent interest subvention and can avail loans through the Kisan Credit Card. In case of timely repayment of the loan, they will also get an additional 3 per cent interest subvention. Fisheries have been growing at over 7 per cent and employ 14.5 million people in India. The Budget aims to increase this growth rate.